Kirk Nix Collection. 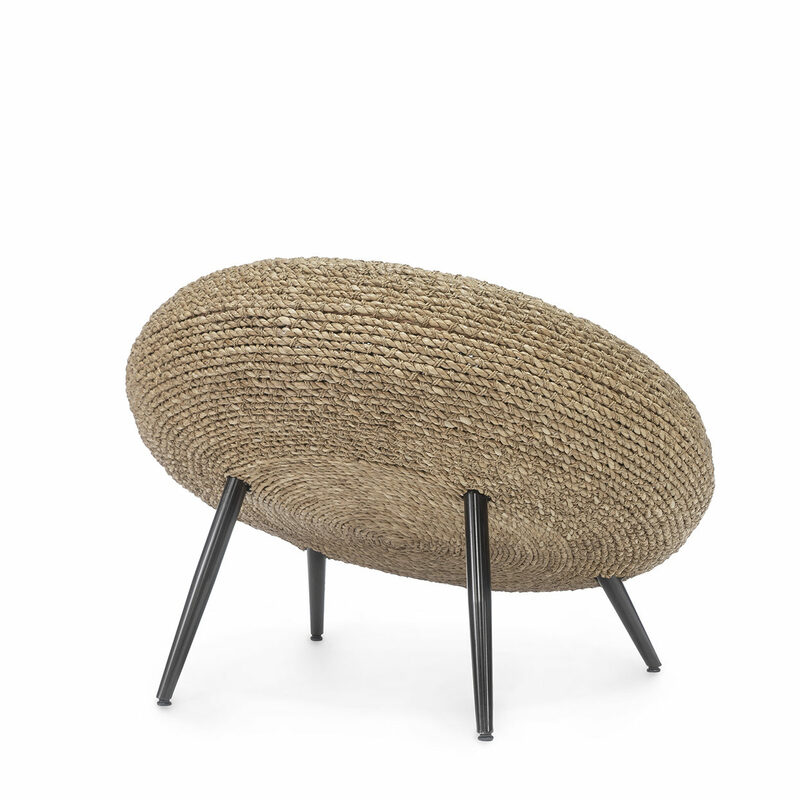 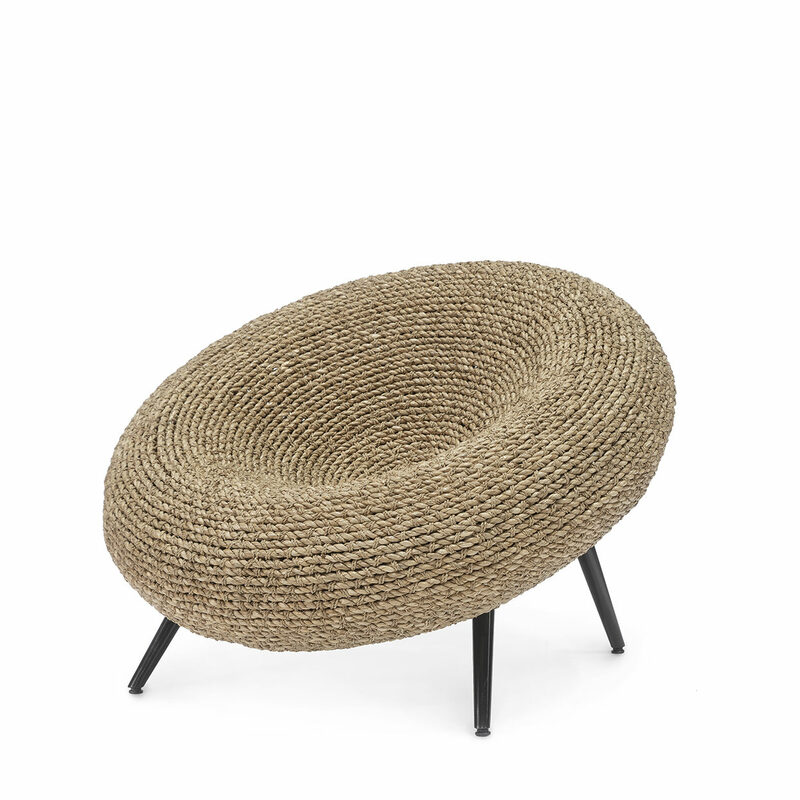 Hand-woven natural seagrass and lampakanai rope accented with metal legs in walnut finish. Seagrass in a natural material and may slightly vary in color. 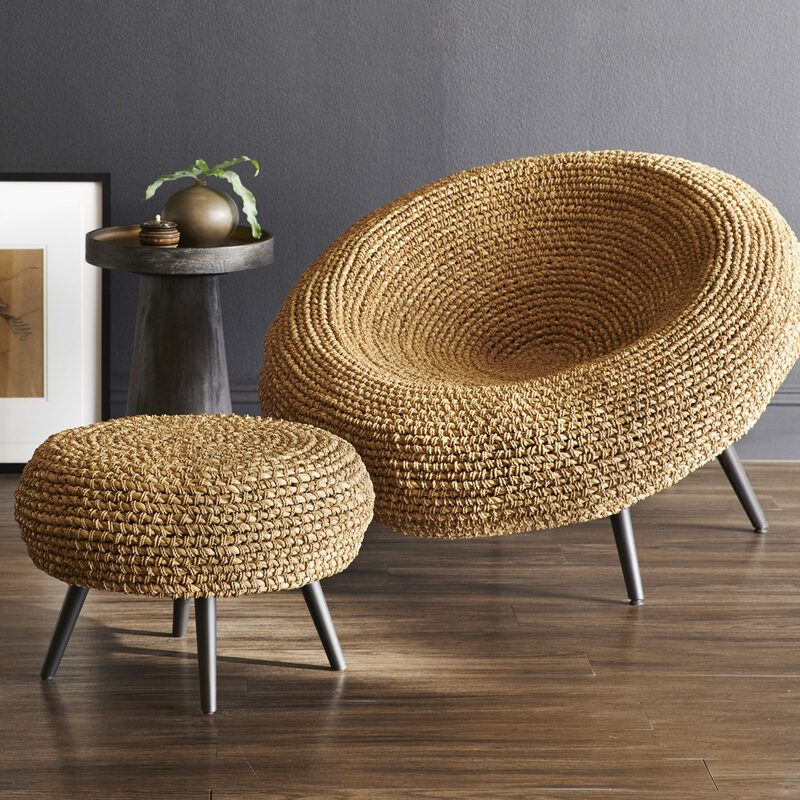 Coordinates with matching Paxton Stool.